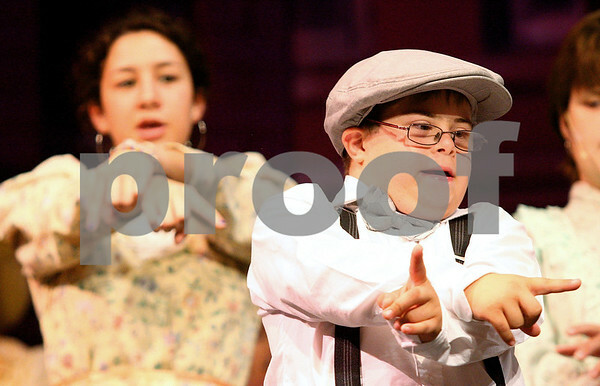 Taylor Correa (left) and Michael Castrsis performs in a number in 'The Music Man' during a dress rehersal for Project Penguin put on by Children's Community Theater. Monday, Sept. 12, 2011. Project Penguin gives children with disabilities a chance to act with the help of mentors on stage with them.